Real estate appraisers find, rate, and manage clients using Appraisal Advisor’s new platform. 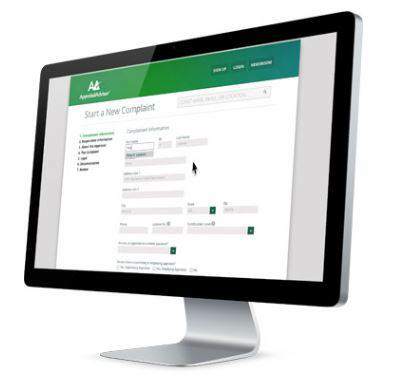 Atlanta, GA – Tuesday, April 16 – Appraisal Advisor, LLC announced today the launch of an exciting new service focusing on helping real estate appraisers better evaluate and manage the clients, appraisal management companies (AMCs), and lenders that they do business with. Appraisal Advisor provides appraisers with instant access to client ratings and reviews, written by other appraisers, and gives appraisers an avenue to have complaints and non-payment issues be heard. Already boasting an unprecedented database of hundreds of thousands of individually-verified clients and thousands of reviews on over 250 different AMCs, lenders, and other clients from a handful of appraisers, Appraisal Advisor works because it organizes what thousands of appraisers are saying into statistical evidence about a client. Clients, like AMCs and lenders, can also use Appraisal Advisor to understand what an appraiser looks for in an order when accepting jobs. Much like Yelp® and TripAdvisor® help restaurants and hotels view and react to reviews, a client will be able to instantly see what appraisers think about their business practices. Appraisal Advisor also gives appraisers the tools to recuperate funds and to see whether or not a company is starting to have issues with their day-to-day operations or invoice payment. In the event that a client is not paying an appraiser or is breaking the law, the appraiser can use the Uniform Complaint Form tool to send a formal e-mail to the client detailing the appraiser’s complaint. If not promptly resolved, the complaint gets sent to up to 17 applicable state and federal regulators. Appraisal Advisor, headquartered in Atlanta, Georgia, is a web-based company specializing in tools for real estate appraisers to manage and grow their appraisal businesses. Starting from the ground up in 2011, Appraisal Advisor is celebrating its nationwide launch this year. Is Little Biggers doing Bigger Bigger’s dirty work? In other words, has Alamode found yet another way to shake a few dollars out of your pocket? Sorry Little Biggers, appraisers have everything these days but time and money. Offer the service free and we’ll talk.